As a landlord, you have the potential to make a lot of money over time on the rent you collect and the equity you build in your property. But in order for your profits and the value of your investment to grow, you have to take good care of your property. You can’t just wait until there is a problem to address – you have to take a proactive approach to maintenance and renovations where needed. A falling roof is a particularly big liability as a landlord. Materials like sheetrock, tile roofing in Chandler or even wooden beams can fall down if they become damaged from water or insect infestation as a result of openings in the roofing materials. The falling materials can damage the property or can injure the people inside. You can become liable for medical bills and for the cost of replacing personal belongings inside – not to mention what you’ll have to pay to repair the property. If you own a commercial property, the consequences can be compounded since there are likely to be more people inside and the equipment and other personal property will be more valuable. It is important that you maintain your property – and your roof particularly – to prevent this kind of catastrophic damage from happening. Not only will you be out a lot of money if you don’t, but you are also risking legal penalties and your reputation. You can’t know for sure what your roof needs if you don’t have it inspected first to understand exactly what kind of condition it’s in and if there are any signs of potential problems. You need to have your roof inspected at least once a year to determine exactly what maintenance or repairs or needed, if any. If you own a business property, it is important that you hire an experienced commercial roofing contractor to do the inspection. Commercial properties have specific needs that distinguish them from residential properties, and only a commercial roofing contractor will have the knowledge and experience to discover potential problems and make the right recommendations. You may want to schedule your inspection either before or after the change of the seasons. For example, you may want to have your roof inspected before the start of the Arizona monsoon season to make sure there are no potential openings for the heavy rains that are about to batter it. 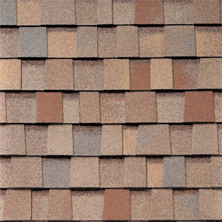 Or you may want to have it inspected after the monsoon season is over to make sure that the heavy winds and rains haven’t blown off any shingles or tiles. Some roof types need regular maintenance to continue to provide the protection your property needs and to have a long life span. 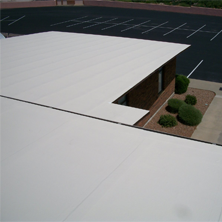 For example, foam roofing that is used on many commercial buildings must be resealed every few years to prevent the foam from breaking down under the intense UV rays of the Arizona summer. Regular commercial roof maintenance will keep the roof healthy and save you a lot of money on major repairs later. Work with your roofing contractor to develop a schedule for whatever maintenance is appropriate for your roofing type. This may include cleaning gutters, cleaning moss and debris from the roof, and touching up seals where necessary. As soon as you know there is a problem with your roof, schedule the repair. Even minor problems with your roof can lead to major damage later. A small crack in the underlayment can let water in, which can start to rot the roof boards and joists and can spread mold and mildew throughout your ceiling and down your walls. When your tenants notify you that there is a problem, hire a roofing contractor to check out the problem and make whatever repairs are necessary as quickly as possible. When you have your annual inspection, follow whatever recommendations the Chandler roofing contractor gives you. Don’t wait. Waiting will cost you a lot in the long run, and it can put your tenants and your property in jeopardy. Even with the best maintenance and consistent repairs, your roof will not have an unlimited life span. Once it is time for your roof to be replaced, trying to keep it by performing repairs will be like trying to save a sinking ship by using a bucket to remove the water. Listen to your roofer when he says that it’s time for a new roof. Don’t waste money by investing in more repairs and maintenance long after the life span is up. Get a new roof that offers the ultimate protection for your property and the longest life span that you can afford. It doesn’t hurt to get a roof that makes your property look more attractive, which will increase its value and encourage more tenants to move in. Taking these steps will help you prevent serious problems for your property, including a falling roof. You will save money and protect your reputation and your investment. 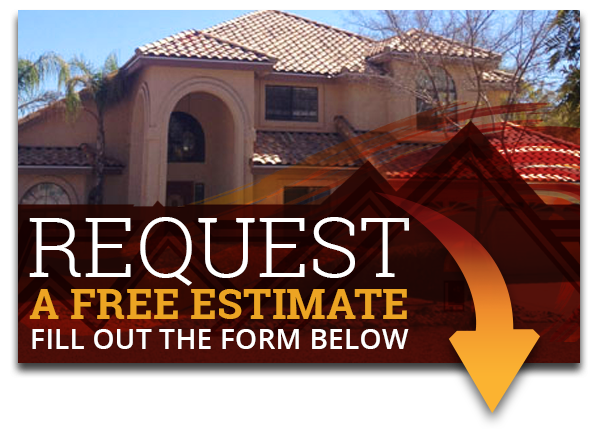 Express Roofing specializes in roof maintenance, repairs and roof installations in Chandler. 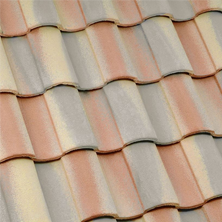 We work on all types of roofing, including the popular types such as Chandler shingle roofing, tile and foam. We offer commercial roof maintenance packages, including routine inspections. Call us today to talk with a commercial roofing contractor or to get a free estimate on your roofing work.